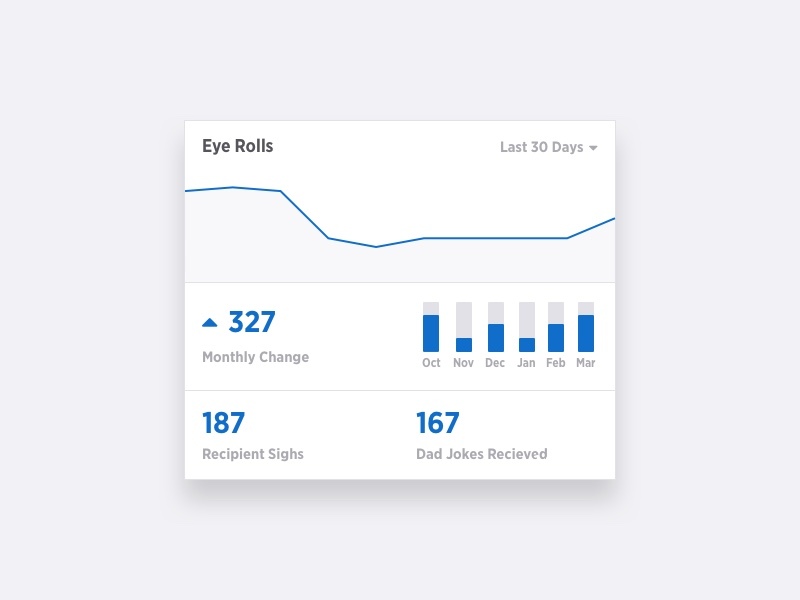 As Q1 winds down we wanted to release some exciting previews of the new metrics coming in Q2. Well you asked for it, and we listened! For weeks we organized working committees, hosted focus groups, created user and marketing personas, and spent lots of time looking up agile development buzzwords to seem busy during standup meetings. We scoured the feedback from our SparkPost Community Slack team and pored over the many user-submitted feature requests. Taking that data, we leveraged machine learning, artificial intelligence, and other buzzwords we saw on reddit to discover the most useful and most requested metrics! 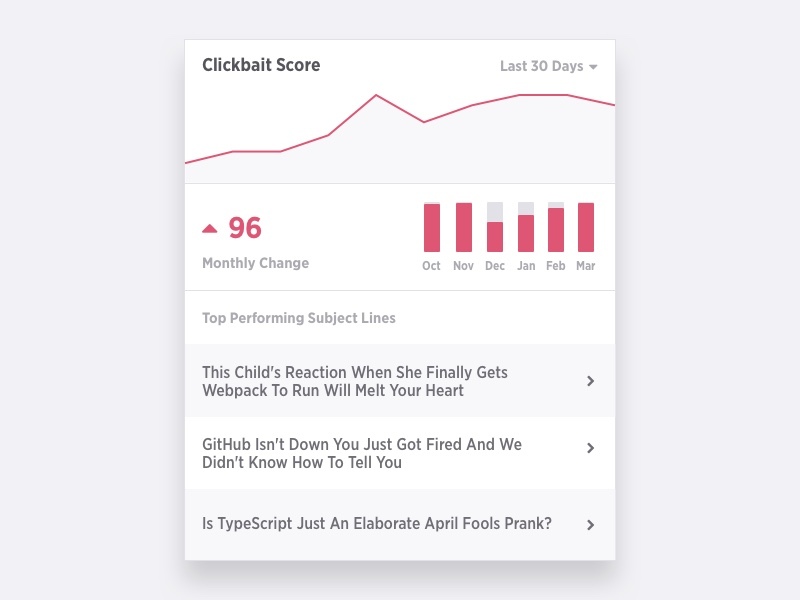 We asynchronously polled several leading email clients to get real-world examples of user interaction and then applied deeply artificial machine learning algorithms to the resulting data store. The resulting metrics are insightful, deep, and synergistically aligned across most cross-functional teams. Our New Social Engagement Metrics! We’ve all done it. You craft that masterful message to go out, filled with numerous references to the documents attached. Documents that painstakingly written and designed by hard working people. Except they aren’t there. 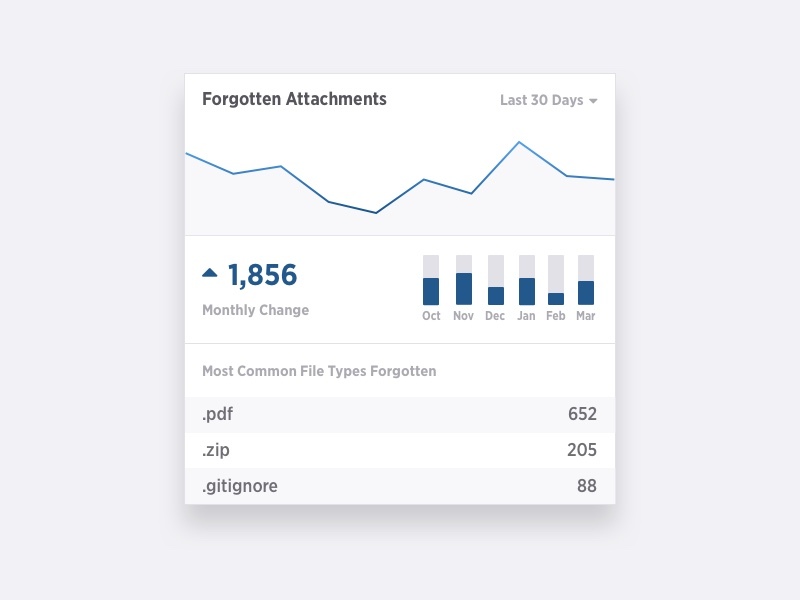 Similar to how Google analyzes your content for potentially forgotten attachments, we can reliably track how many times you meant to attach something but didn’t… and we let everyone know via this handy counter. Being succinct is overrated! Why skip on the flourish or the gritty details? 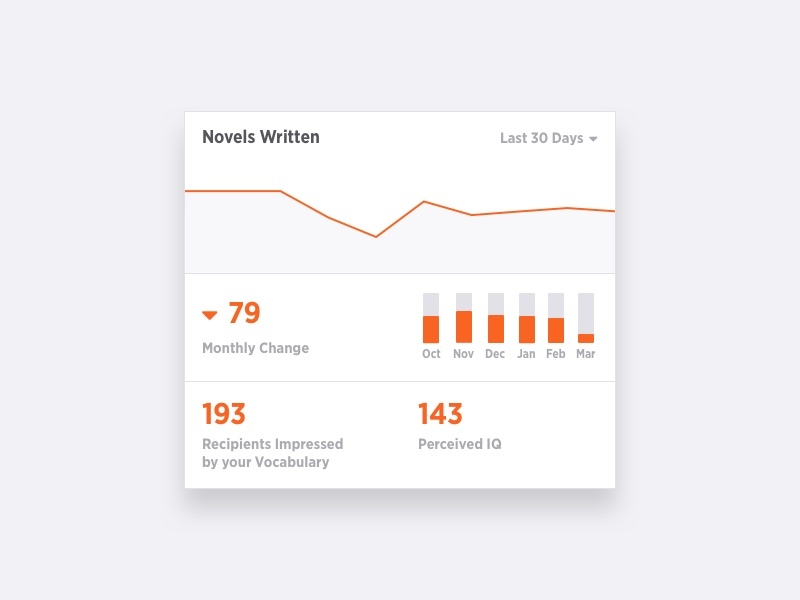 Walls of text are important ways to convey deep thoughts and are a clear sign of enhanced intelligence, so throwing around your “Number of Novels” stat at that next meetup will definitely help you make new friends and meaningful business connections. 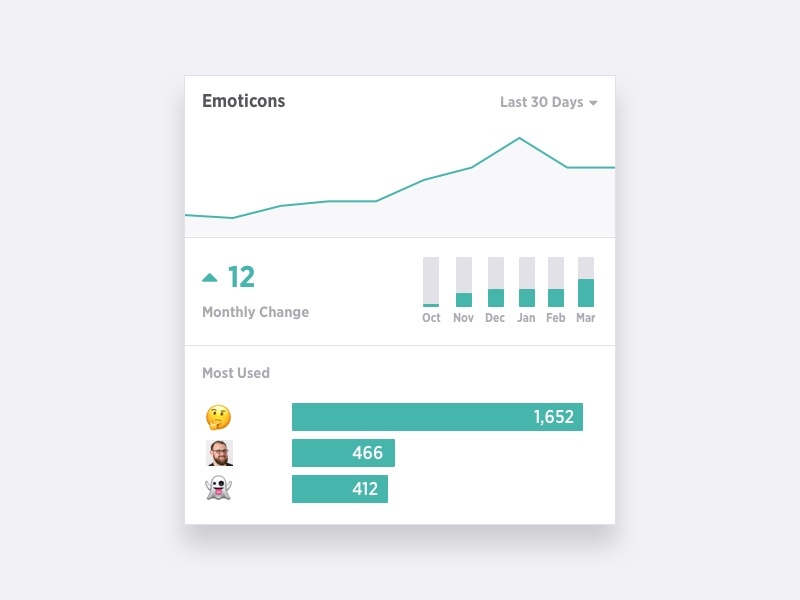 Text based communication is known for not being great at conveying emotion, but thanks to the introduction of emoticons and emojis, we can show just how we want our message to be interpreted. By referencing the number of emoticons/emojis used, you can tell just how clearly you communicated the emotional intent of your message. Email can be awkward. Sometimes it’s a mis-targeted email sent to the wrong list with the wrong information. Sometimes it includes a message from your CEO to your users but you misspell her name. And sometimes it’s some unintentionally inappropriate wording that made it into the subject line of your newsletter. By analyzing the opens, the forwards, and the responses to your message, we can show you just how many times you may have evoked a feeling of, “Uhh… what?” from your email recipients. Closely related to the Number of Awkward Emails Sent, eye rolls and sighs provide deep insight into your emotional engagement, message targeting, and how effective your dad jokes are. If you’ve ever gone to the trouble of carefully crafting a subject line that sounds amazing but doesn’t relate to your content whatsoever, someone should acknowledge how amazing you are! We track the g.p.o.’s (groans per open), r.g.m.’s (Ryan Gosling mentions), and the number of opens per message marked as spam to bring you the most cringe-worthy data possible. 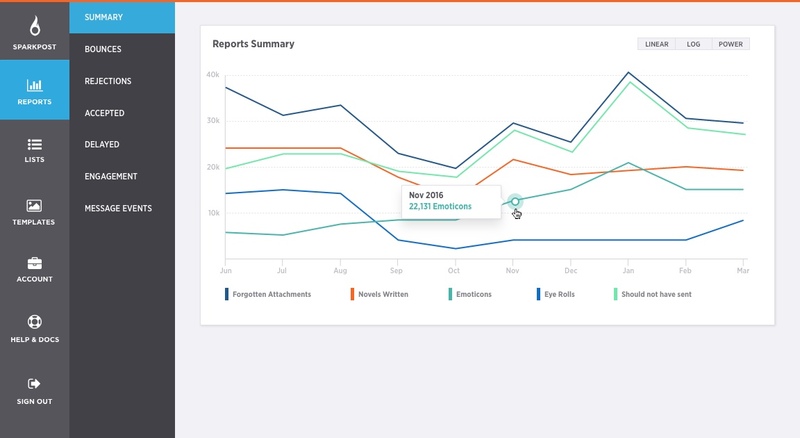 The new SparkPost FEELs metrics will provide you with the most relevant, non-alternative facts about how your email recipients feel about your mailings. They also provide vital insight into your own team, letting you know just who the problem is without tedious things like human interaction getting in the way. Who has time for tact and courtesy when we have all these DATA?! 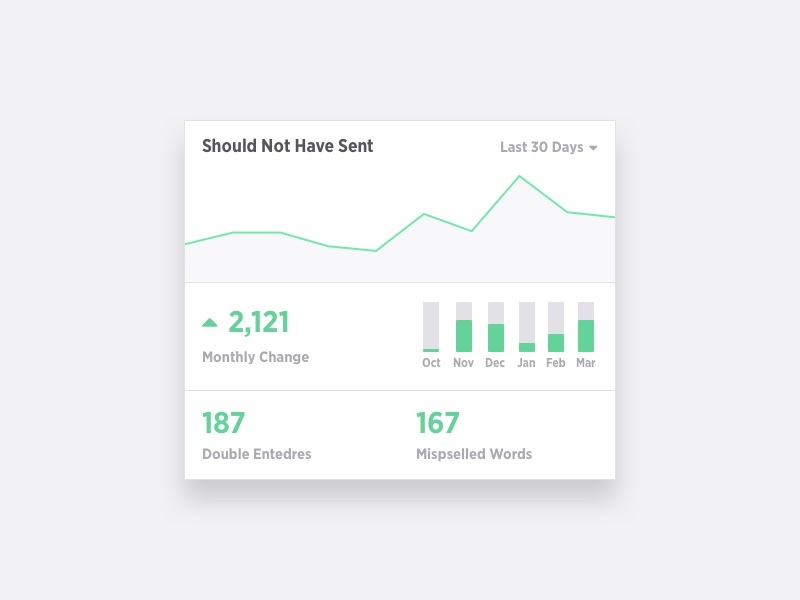 We would love to get your feedback on these new metrics before they go live in Q2. So, please reach out here, on our Community Slack team, or via Twitter and let us know what you think!